Crafty Ducks: Stampin' Creative Blog Hop - Anything Goes! Hello and welcome to the Stampin' Creative Blog Hop. I'm so excited to be invited to guest this month as I always find great inspiration from these talented ladies. You are currently visiting Diane Marlow aka the Crafty Duck and to continue on your journey through the blogs, please see the list below. 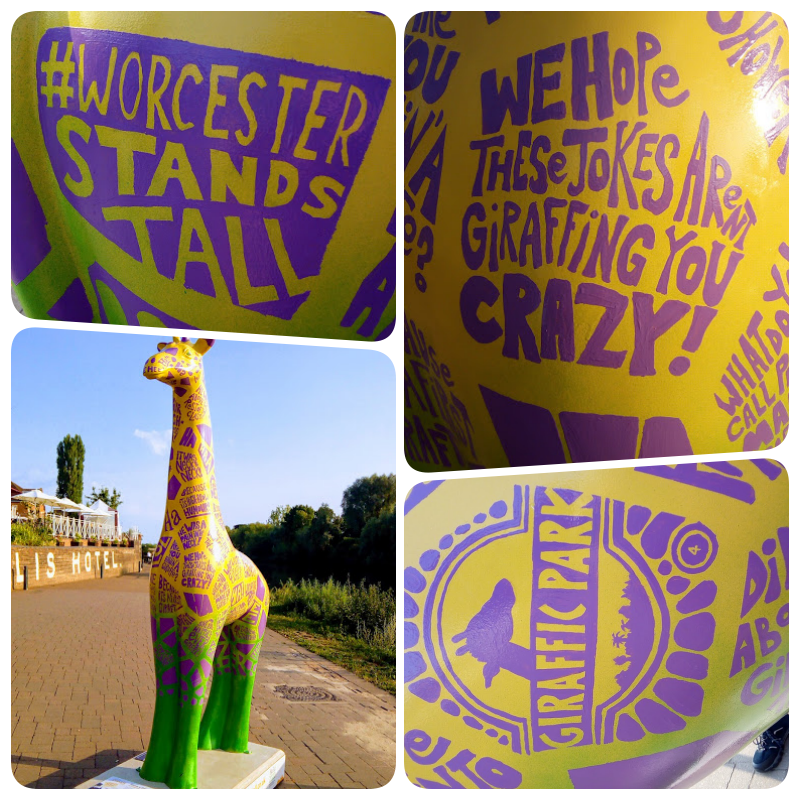 So welcome to Worcester where just a couple of weeks ago the city launched its worcester stands tall trail - consisting of multiple painted giraffe. They are dotted around the city and will be auctioned to raise money for a local hospice later this year. There is a huge variety of styles and lots of imaginative interpretations. They are well worth a visit if you are in the area. This is one of my favourites - perhaps because I have a quirky sense of humour myself! So it seems appropriate to highlight Animal Outings - one of my favourite sets as it can be used for a huge variety of occasions and it has a humourous feel too! The giraffes are looking a little illuminated because they are double sided images and the light is shining through the aperture. To achieve the double sided look I used the stamparatus combined with a silicone mat to create the mirror image of the giraffes - and in doing this they automatically become double sided - bonus! I die cut the giraffes and the aperture with the layering circles dies and then stamped and die cut two of the swirly frames to sit front and back of the aperture. Attach your giraffes and a few leaves, use dimensionals to pop up the swirly frame on the front and you are done. This is a much simpler card, again using the swirly frames. I love how they can very quickly change the look and focus of the card without adding lots of extra layers - great for the postage too! I used post-it notes to cover the frame whilst I stamped the giraffe and leaves - so no difficult cutting of masks! Finally I stamped, coloured (with blends) and die cut my rhino and popped him up on dimensionals to complete the card. The greeting comes from Perennial Birthday - a great basic set to have in your stash. I think this card works well for every age and is especially good for the guys! So thank you for popping by but for more inspiration please continue through the blog hop.